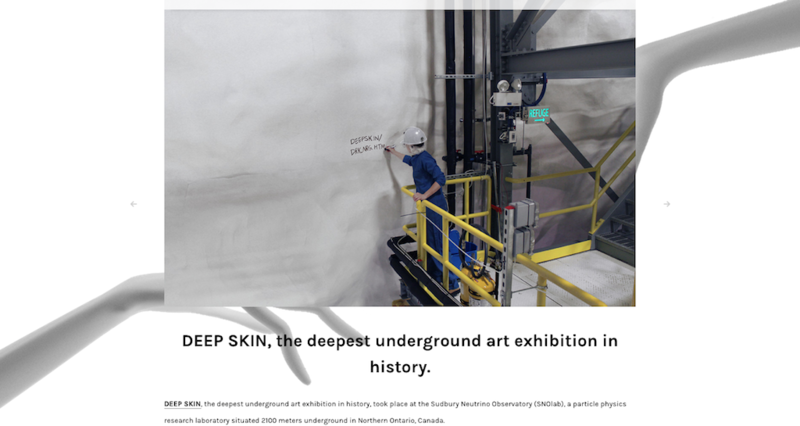 DEEP SKIN, the deepest underground art exhibition in history, took place at the Sudbury Neutrino Observatory (SNOlab), a particle physics research laboratory situated 2100 meters underground in Northern Ontario, Canada. 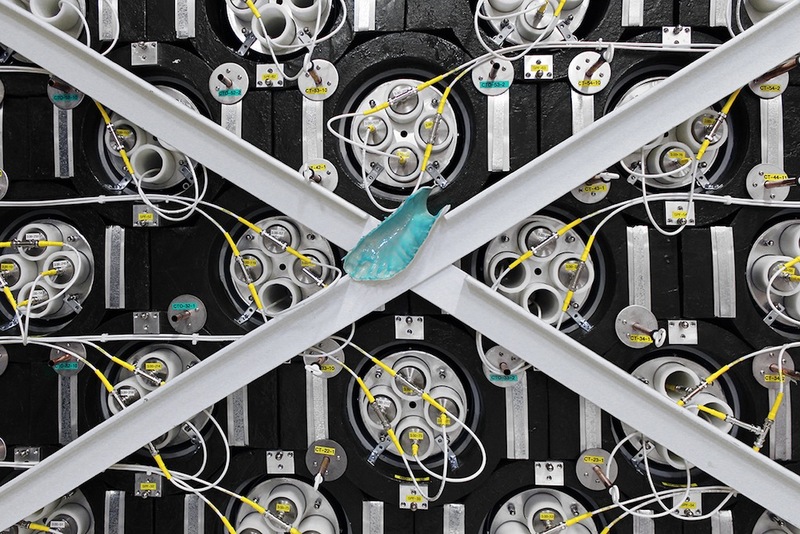 The lab's extreme underground location in the Creighton Nickel Mine (the world's second deepest mine outside of South Africa) is situated so as to shield sensitive experiments from cosmic rays and background radiation, essential for studying subatomic particles such as neutrinos. 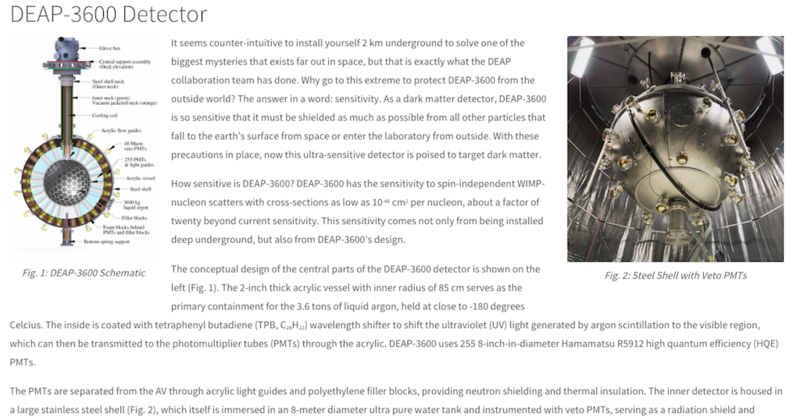 Overall, the facility has a muon flux of less than 0.27 ?/m² per day. The lab is reached via the mine's elevator, which fully descends in only 2 minutes. The 2100 meter granitic rock overburden corresponds to a 6010 meter water equivalent and the rapid change in pressure can cause some visitors to experience vertigo and severe otalgia. 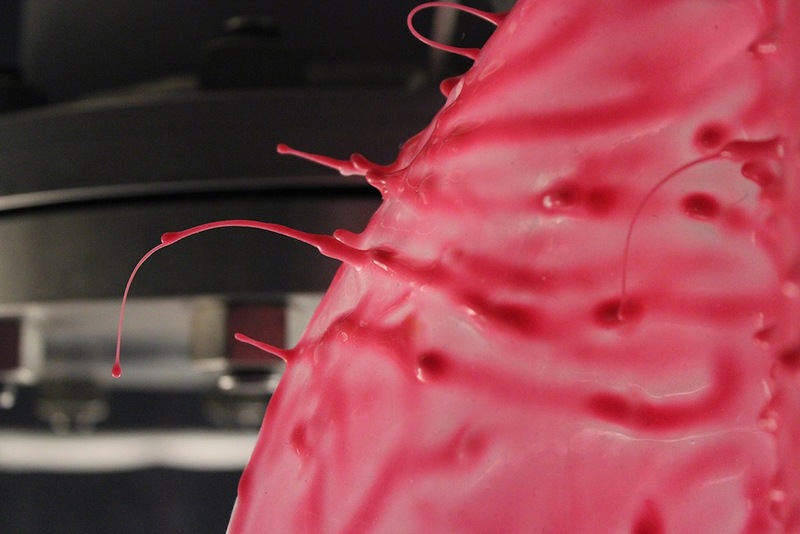 The ambient rock temperature at this depth is 42 degrees celsius. From the elevator, visitors must walk down a 1.8 kilometer drift (mine cavern) in order to reach the lab. 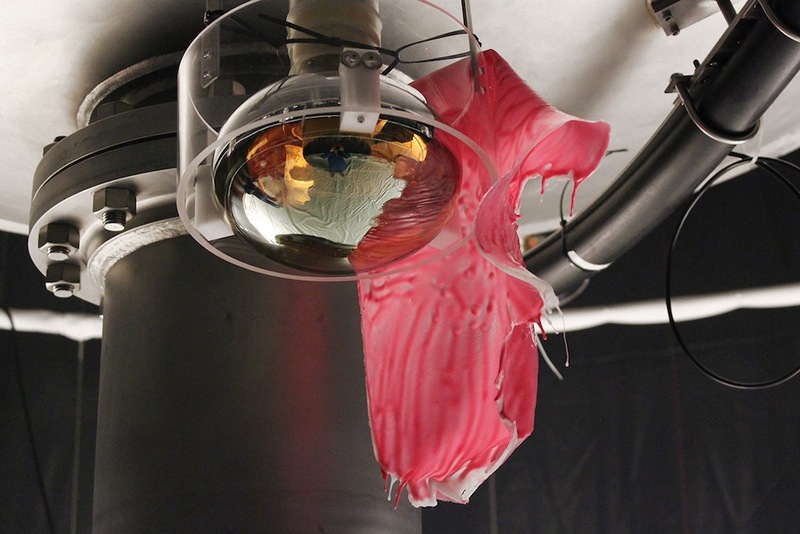 The entrance is a transitional region from the dirty mine environment to a 'CLASS 2000' clean room laboratory (meaning that it is extremely clean with very low levels of dust). Showers, headgear, lab suits and air showers are mandatory before entering the space. 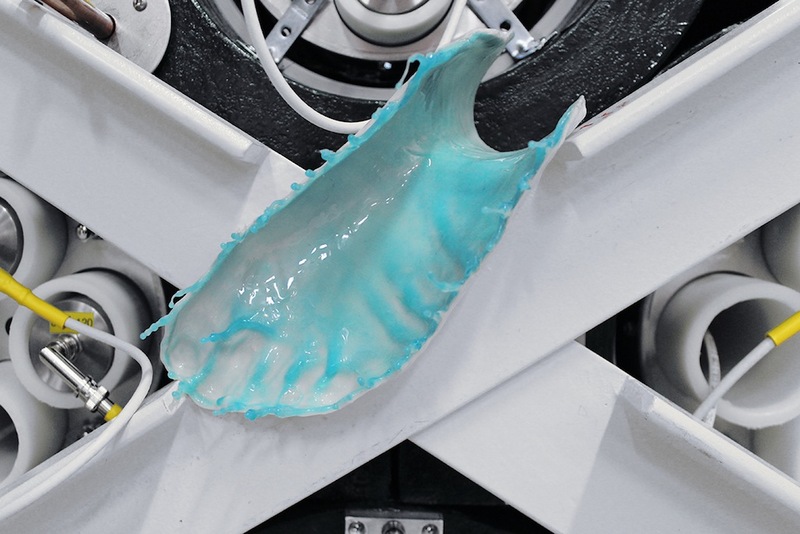 Furthermore, several of the exhibition's artworks were vacuum-packed in order to comply with the stringent security and cleanliness protocols of the SNOlab.